Welcome to Part 2 of our journey of taking a look at the top species targeted at our fishing destinations. 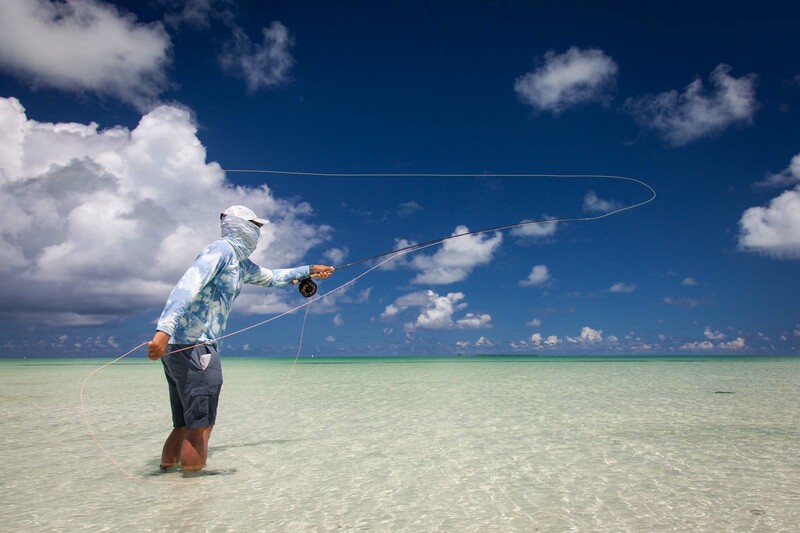 The Seychelles is known to hold some of the richest fishing grounds in the world. Featuring a collection of isolated islands and deserted atolls coupled with great weather and warm, rich waters, it doesn’t come as much of a surprise. 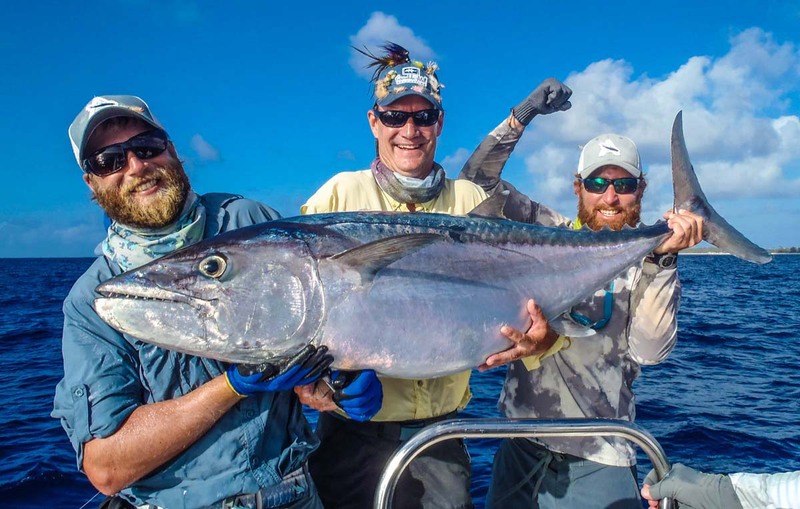 Providing guests with the best equipment and professional guidance, Alphonse Fishing Co. offers fishing trips to the abundant destinations of Cosmoledo, Astove, Poivre, St. François and Alphonse atolls. Dogtooth Tuna are a resident-pelagic fish that are found along the drop-offs in good numbers at Alphonse, Astove and Cosmoledo. They patrol continental shelf drop-offs and frequent depths of up to 150ft, which are found relatively close to shore around these atolls. Astove and Cosmoledo have larger populations than Alphonse, with specimens as large as 250lbs caught on fly in previous years. These streamline hunters with their characteristic teeth are best targeted in clear, blue waters off the drop-offs where they hunt. The Seychelles waters are known for their incredible numbers of Wahoo due to the rich currents that flow close to the atolls. 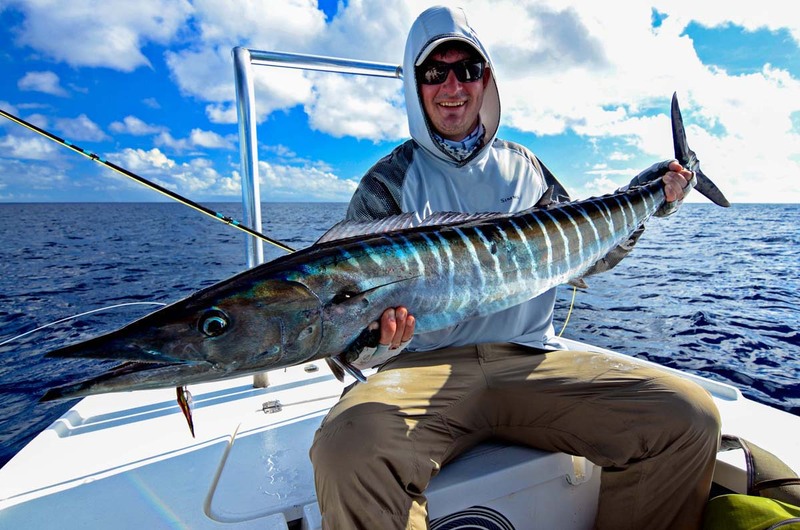 Reaching speeds of up to 80 km/h, the Wahoo is the third fastest fish in the sea. 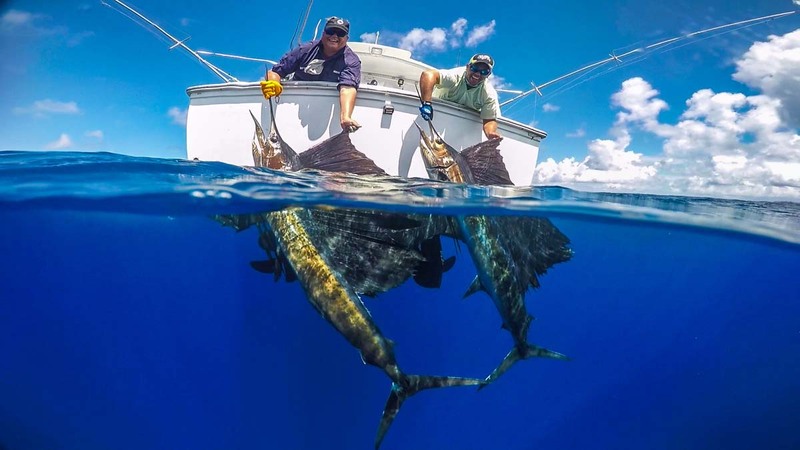 Alphonse, Astove and Cosmoledo have very similar numbers of fish that range between 10 to 50lbs. These elongated predators can often be spotted hunting schools of Baitfish. This fierce ambush predator is distinguishable by its cylindrical body and known to jump when hooked. Putting up a good fight, these fearsome looking creatures are extremely fast and grow to over 240cm. 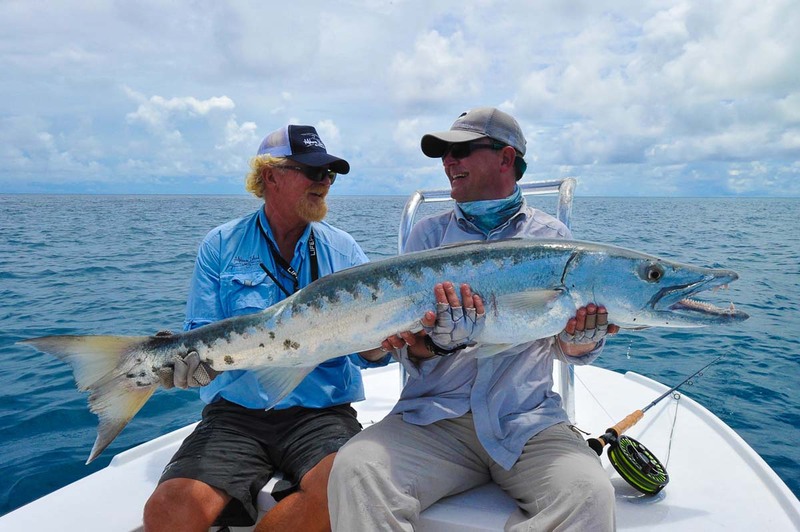 Although all of our destinations hold great numbers of Barracuda, the largest specimens are caught at Alphonse due to the large population of Bonefish which they hunt on the flats.